Sopan Palladium will be unique in many ways as mentioned earlier. It will be India’s First Futuristic Curved LED Building as it will house a Curved LED Screen embedded in the elevation of the building itself. This will be a major attraction not only in the state, but it will also gain popularity nationwide. With the Main BRTS stop just round the corner and the New Metro Rail Junction adjacent coming up, this location promises footfalls in a large number. It is also such a junction where the entire western Ahmedabad will always cross while travelling to places like the airport or the railway station. Purohit Construction Ltd. also proudly announces the enrollment of Sopan Palladium for attempting the Fastest Construction of a Commercial Building in India with the India Book of Records. We will be attempting to construct the building in a given time frame which, when succeeded, will make this project a record holder and will place it on the national level. Across the world, the construction industry is witnessing a tremendous boom. And India is no exception! Government polices and expenditure in infrastructure, training and regeneration projects have helped the sector grow at high levels and the same pace is likely to be seen in the coming year too. With construction activities taking place in different Indian cities at phenomenal speed, the sector will escalate to new heights, industry experts predict. 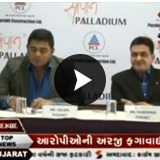 ''The construction industry is currently growing at 10 per cent per annum and has a size of 70 billion dollars but with the huge investment in the construction industry, tremendous growth opportunities are expected,'' industry body The Associated Chambers of Commerce and Industry of India (Assocham) said. The return on investment in commercial market is also very good, this all happen because of the retail boom in India. In India demand for commercial property has increased day to day because traditional retail shops, shopping malls, shopping complexes s which offers high end luxury tastes at middle class rates. Commercial property developments and upcoming commercial real estate project is solely responsible for real estate market growth in India. Commercial property can be categorize in office buildings, industrial property, hotels, shops, malls, retail stores, showrooms, shopping centers, farm land, multifamily housing buildings, warehouses, and garages. The return of investment in commercial project is very high. 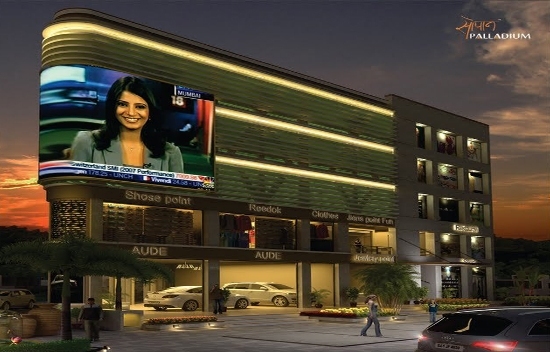 So several real estate developers are going to launching the commercial projects in India. Corporate social responsibility (CSR) is about improving the way your business responds to the needs of stakeholders. This means that it is relevant to companies of all sizes within the industry supply chain, including clients, designers, contractors and the suppliers of materials. Stakeholders include not only customers, but all groups which are affected by the activities of an organisation. These groups could include employees, suppliers, local communities and government regulators. For construction, a suitable definition would be "the commitment to integrate socially responsible values and concerns of stakeholders into their operations in a manner that fulfils and exceeds current legal and commercial expectations".